On Monday evening Harry and I were feeling a little stir crazy so we headed out to the cinema for a date night! It was a very chilled affair but I wanted to share my outfit all the same. I haven't worn this bomber in ages, and I think I am now going to bring it back into a regular rotation as I love how it looks here. I love it when an old piece that has been sitting in my wardrobe for ages gets some loving again! 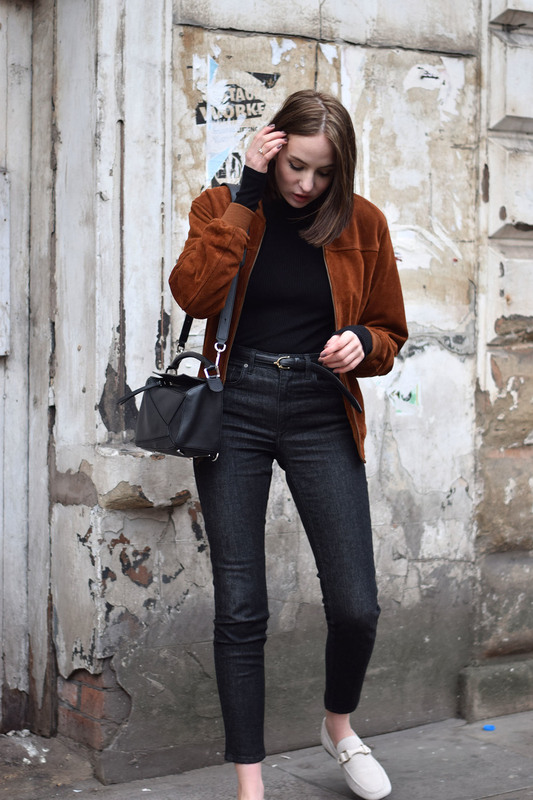 I was really feeling it with the suede shoes too, it seems I cannot get enough of suede at the moment. Also I can't get enough of this bag, sorry for how much it has been here but I am also not sorry 'cos it's the best ever and it's not going anywhere for a looonggggg time.